In 2010, my focus was to improve my running performance and to catch up with the running Elite again after many years of triathlon and cycling racing. My athletic background is long distance and cross-country running. 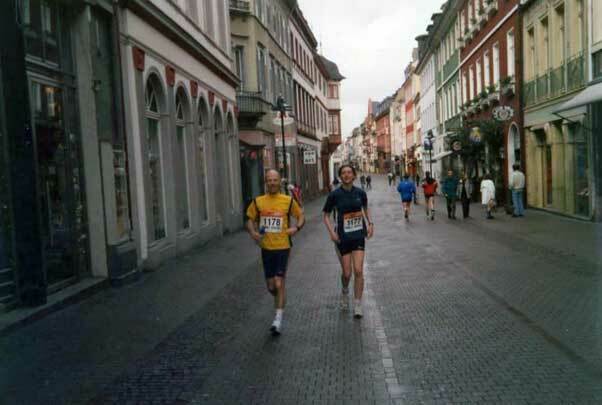 It was in Heidelberg, Germany, where my running career really kicked off with a first place in a cross-country race on the ‘Grosse Taunus’, a mountain near Frankfurt. 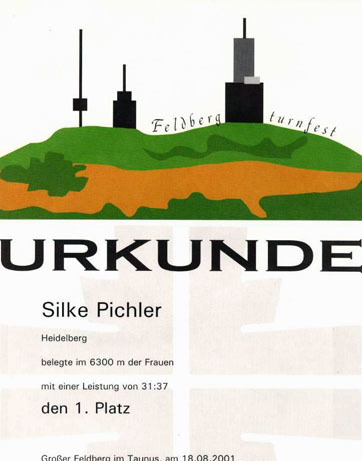 I remember that I drove to that race on my own from Heidelberg, early in the morning and that the mountain was still covered in fog when I arrived at the race venue. It turned out to be a very hard cross-country race, probably the hardest one of my career thus far. But I could keep up well with the men and there was no woman who could beat me. After this great athletic success and the completion of my PhD at EMBL, I had to leave Germany, to take on a position as research scientist at Princeton University, USA. I soon joined the New York Road Runners which is the biggest road running club in the USA. They organized events every weekend and whereas I had to do my training on my own in Princeton, which is located about 1h driving distance from New York City, I managed to leave the lab on the weekends to meet up with the club and compete in their running races. Unfortunately, I injured myself badly during training, and so I spent about one year in rehabilitation. I could pick up racing again though and when I left Princeton in November 2003 to move to Cambridge, UK, I was as fast a runner as before (and I had finished a huge number of running races in New York!). My big aim at that time was to run the New York Marathon, and to qualify for it. There are several ways to do so. One way is to win a place in the lottery. The second one is to be a member of the New York Road runners and run 9 of their races in NYC within the year before the marathon. The third one is to run a marathon in the qualifying time. Living close to NYC and racing there every weekend was the best option for me and so I finished 13 qualifying races in the year before the marathon. 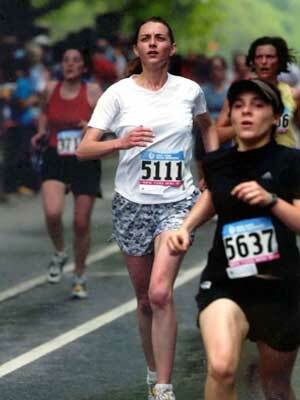 And I came back to New York from Cambridge in 2004 just to compete in the New Marathon. After the New York Marathon I concentrated on marathon and half-marathon racing for a while eventhough I was triathlon training on a daily basis. 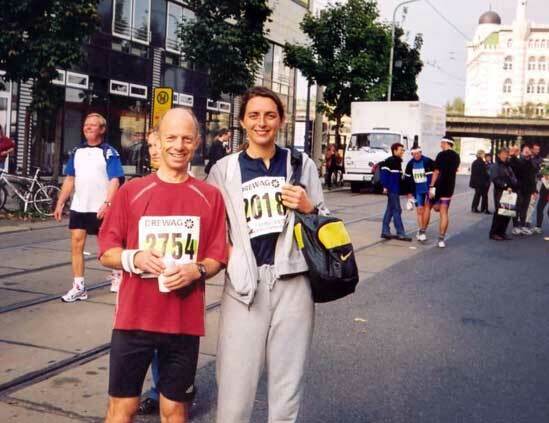 My aim was to compete in all 5 big marathons in the world: NYC, Boston, Berlin, London and Chicago. Today my CV shows that I have run 4 of them and London and New York two times. 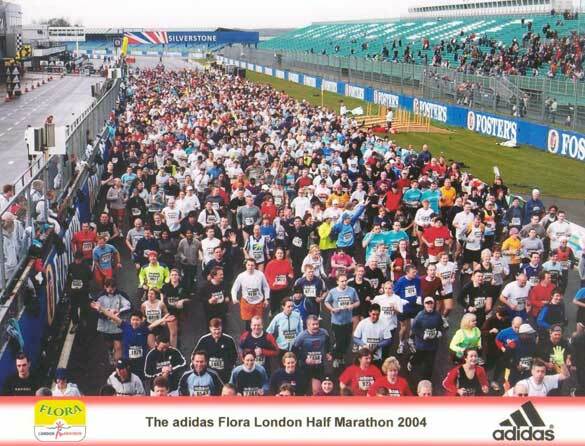 In London, which was the best running race of my career, I even broke 3 hours! So there is only one more race to come and this is Chicago! I have visited Chicago during one of my conferences as scientist and so I know what is still to come. After my move to Cambridge, I was very soon integrated into the Hare and Hounds Cross Country Running Club. I made friends with two of the captains of the Club, Ben Hope and Simon Rutherford, whose support and advice helped me to make the successful transition from an amateur to an Elite and professional athlete. The Cambridge University track became one of the places where I faced the limitations of my body. I used to train with the Blues Runners of Cambridge University whose speciality was sprinting and middle distance up to 1500m. I still remember the feeling racing with them on the track: whenever I caught up with them, they increased their pace a little bit. It was pure desperation from my side because I could never get them, but I had to still try as hard as possible. Track training made me strong though and it was this strength gained on the track that helped me to break the 3 hour barrier in the London marathon, a barrier that only very few women can break (especially not triathletes). 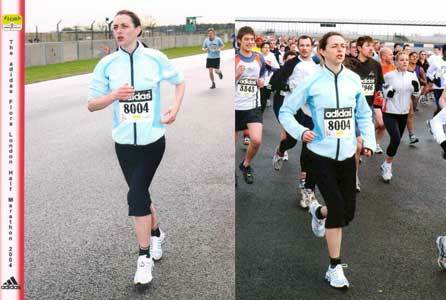 In the London marathon in 2006, it was at about 600m from the finish line when the male English National champion caught up with me (he had started 45 minutes after me!). I picked up my pace and I sprinted along side him for the last 600m. I was watching the time on the clock above the finish line and I learned in that race what it means to race against a clock. It was exactly 10 seconds to 12 when I crossed the finish line! It was just me and the clock and that man racing next to me who was trying to make the cutoff for the Olympics. After the London marathon I committed myself completely to Ironman triathlon, cycling and swimming racing and it was only last year that I returned to road running racing, starting with the English National Championships in half-marathon in Bristol in the beginning of September, the Berlin Marathon on September 26 and the Great Eastern Run in Peterborough in October. In all three races I ran the cut-off time for a professional start in the New York marathon and so I am back on track! 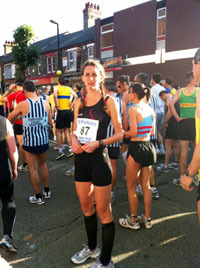 I can still run a PRO running race after over 100 of triathlon, cycling, swimming and running races. 2011 I have already won a third place in a cross-country marathon, the Cambridge Boundary Run, only 10 minutes behind the winner. So I could pick up both my road racing and cross-country racing again and I am still in the Professional field.